Daya Bay near Shenzhen, Guangdong Province, about 55 km north of Hong Kong. One kilometer away from the Guangdong Daya Bar Nuclear Power Station. Reactor Type: CPR-1000 based on the French 900 MWe three-cooling loop design. Reactor Type: Modified French Areva CPR-1000 produced by Dongfang Turbine Co., Ltd.
 “Ling’ao Nuclear Plant Commissioned,” Shenzhen Daily, 29 August 2011, www.szdaily.com. “New Ling Ao II Unit Enters into Service,” World Nuclear News, 27 September 2010, www.world-nuclear-news.org. 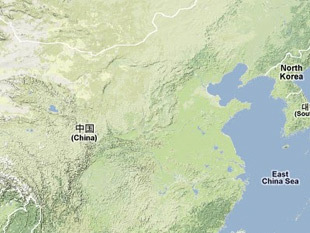 “Lingao, People's Republic of China,” Power-Technology, www.power-technology.com. Andrew C. Kadak, “Nuclear Power: ‘Made in China,’” Department of Nuclear Science and Engineering, Massachusetts Institute of Technology, accessed 21 September 2011. “Ling Ao Unit 4 Nuclear Power Plant Enters Commercial Operation,” Alstom Press Release, 8 August 2011, www.alstom.com. “Lingao NPS Phase II,” Guangdong Nuclear Power Group Press Release, 19 November 2009, www.cgnpc.com.cn. “People's Republic of China: Reactors & Services Division,” Press Kit: Areva in China, Areva Corporation, www.areva-np.com. “Nuclear Power Reactor Details – LINGAO 1,” IAEA Power Reactor Information System, www.iaea.org. “Nuclear Power Reactor Details – LINGAO 2,” IAEA Power Reactor Information System, www.iaea.org. “Nuclear Power Reactor Details – LINGAO 3,” IAEA Power Reactor Information System, www.iaea.org. Liang Jun, “Phase II of Ling Ao Nuclear Power Plant goes online,” People’s Daily [in English], 25 September 2010, www.english.peopledaily.com.cn. “Nuclear Power Reactor Details – LINGAO 4,” IAEA Power Reactor Information System, www.iaea.org.